Clean cushions by spraying an enzyme cleaner on spots. Set them on their ends in the sun to dry. If you find mildew, place them on a flat cement surface, like the driveway, and saturate the affected area with a solution of 1 cup of bleach, 3 gallons of warm water and ½ of laundry detergent. Let the wet cushions sit in the sun for several hours, then rinse thoroughly and dry in the sun for several days until completely dry. Store clean, dry cushions in plastic trash bags to protect them from dust and dirt. The best way to clean a hammock is to lay it flat, then scrub with a mixture of dish soap and warm water using a nylon scrubber. Don’t use bleach, as it will eat away at the support ropes. Rinse, then turn the hammock over and repeat. Hang to dry and store in a plastic trash bag. Before you put it up next year, spray it with a water repellant to prevent water retention, which prematurely ages hammocks. Clean the patio umbrella fabric by opening it and using liquid dish soap mixed with warm water and a sponge. If the umbrella is vinyl, clean it using a cleaner used for convertible tops. Rinse thoroughly, then allow to dry completely before closing and storing. Patio furniture cleaning techniques vary, depending on the material used. For aluminum furniture, wash with a mild detergent, rinse and dry. Run a light coat of car wax over the frame. For resin furniture, use mild, soapy water, rinse and dry. Don’t use products containing ammonia. Use diluted bleach on stains. Polish with car wax if needed. With teak furniture, use mild soap and a soft brush. Teak cleaners will only attract dust. Allow to dry in the sun because any dampness will cause mildew. Wooden furniture should be cleaned with a mild detergent and scrub brush. Store indoors if possible. Wash wrought iron with soapy water, rinse and dry. Wax and polish twice a year, and touch up rust spots immediately. Wrought iron should either be stored indoors or covered. If your furniture needs more restoration work than you can handle on your own in Aurora and Naperville, IL., call the professionals at Furniture Medic by MasterCare Experts. We have experience in restoring a wide variety of furniture, from antiques to end tables. We can remove watermarks, match colors, refinish items, restore antiques and much more. Call us before you decide an item is beyond repair – you may be pleasantly surprised! Repair and restoration costs vary, depending on the extent of the damage. 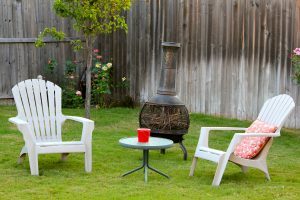 According to HomeAdvisor.com, the national average for repairing a piece of furniture is $166 and the national average for refinishing a piece of furniture is $575.